This is one of the last opportunities that all eighth graders will have to celebrate their years at OMS. Following the Moving Up Ceremony and Dinner Dance in June, many will be enrolling in high schools other than Harborfields. 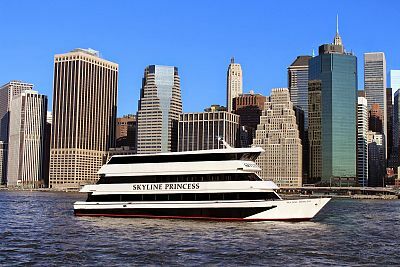 To make this a lasting memory we have arranged for the following as their Grade 8 Field Trip: Coach buses from OMS to the World’s Fair Marina in Flushing Meadow Park where students will board the Skyline Princess, a triple deck luxury party boat. Students will sail down the East River past such sights as the United Nations, many historic bridges and crossings, and the South Street Seaport to the Statue of Liberty and back. The cost of the trip includes coach bus transportation, the boat ride, a hot and cold buffet, and a DJ for the full four hours. Would you kindly complete the online Field Trip Permission Slip on or before November 30, 2019. Questions should be directed to Ms. Ahrens (Room 330) or Ms. McGrath (Room 204). We also ask that you submit your payment of $105 under the Register button on the right side of this website.